One for the "Nice but forgettable" group and the other firmly on my Special Shelf. Honestly, I read this book because I'm STILL going through Tradd Street withdrawals and I wanted something to fill that void. So, paranormal element? Check. Light romance? Check. Cozy town? Check. Mystery? Check. I crossed my fingers and hoped for the best. 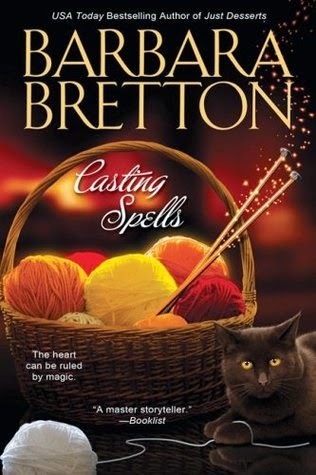 Unfortunately, Casting Spells was no Tradd Street. Nothing about it was BAD, but it really didn't stand out in any way. 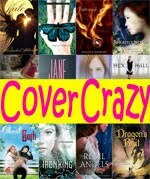 Thin characters, a barely there mystery, and while there were literal romantic sparks in the book, I felt none of them myself. The worst really was the poor character development. I could deal with the lackluster mystery if there were good characters, but none of these people had any depth or made me care about them. They were all nice enough, but that's about it. On the positive side, I liked the setting of the small, wintery Vermont town and the knit shop. I would love to have one of those never-empty yarn baskets. Bottom line: Good enough to read to the end, but I don't think I'll be picking up the sequel. I had high hopes for this book, and boy did it meet every one of them! 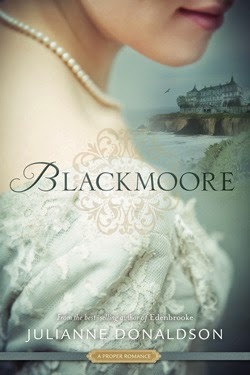 I'm reduced to letting out swoony sighs, clutching my chest, and gasping about how achingly romantic every bit of Blackmoore turned out to be. Kate is a heroine I can get behind. Her desire to break free of the constraints placed upon her, her noble sacrifice, her floundering to find her place, her hearbreakingly beautiful love, her independent spirit, her fortitude in the face of her shameful family...I adore every bit of her and cheered her on desperately hoping she would find happiness. 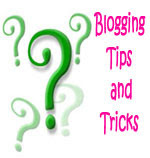 The plot is not fast and does not have a central mystery to propel events forward. This is more like a Jane Austeny type of plot where all the focus is on character interactions. And the building slow burn romance, of course. That said, I never felt bored or impatient. I sped through the (short!) chapters and often pushed my bedtime later and later so I could squeeze in just one more chapter. I was utterly engrossed in the characters, the setting (SO palpable! ), and the progress of their story. This is definitely the type of book I'll return to again and again, both in whole and flipping to my favorite parts (the tower scenes! *sigh*). 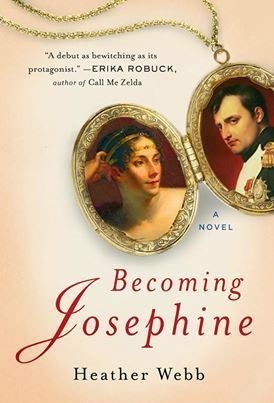 Highly, highly recommended to fans of Jane Austen (particularly Northanger Abbey and Persuasion), Keeping the Castle, and Georgette Heyer (if my one foray is any indication of her body of work). 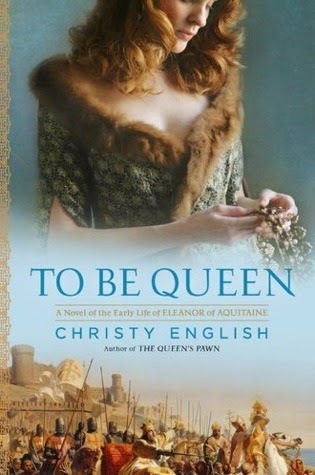 Eleanor of Aquitaine is a tough lady to like, and Christy English's version is no exception. Eleanor is haughty and bold, which can be totally fine if the lady backs up her sass with badassery. Unfortunately, this Eleanor does a lot more "talking the talk" than actually "walking the walk." Is that Christy English or Eleanor? I'm inclined to put more of the blame onto the author with this one because unlike Katherine, Eleanor was actually right in the middle of all the juicy political turmoil and was definitely a key schemer. And, to be fair, many of the events were mentioned. Eleanor did face kidnapping attempts and she did go on Crusade and her power struggles with her (first) husband's men were mentioned. But this was all very surface and often took a back seat whenever Eleanor felt some lusty urges (both rumored real and totally fictional). It doesn't bode well when more detail is spent describing Eleanor's passion for her lover of the week than on her political intrigues, events, the historical setting, or deeper character development (doubly so when said romantic dalliances are also historical liberties). Sure she talked about her power and what she wanted to ultimately happen but that's all it was. Talk. And it was pretty weak talk at that in a very "Eleanor Rules, Suger Drools" kind of simplistic end game. She sounded like a petulant child stomping her foot and relying on "BECAUSE I'M QUEEN" to get her way when it should have been "Because I will politically DESTROY YOU, and let me explain in great detail the jaw-dropping scope of my plan." The real Eleanor was a little more cunning and not quite as one-note as Christy English portrayed. I would have really appreciated it if she had delved a little deeper into Eleanor's craftiness and political manipulations. That also would have gone a long way toward me, if not liking Eleanor (lady was a harsh mom), then at least respecting her. Oh well. Despite all that, it was a good enough run down of some of the main events of the time that I'm glad I read it. And, despite Eleanor's thin portrayal, the author actually did give a decently nuanced characterization of Eleanor's first husband Louis VII. He was deplorably weak but also way more sympathetic and likable and his struggles were presented in a compassionate, thought-provoking manner. I'd recommend the book for Louis alone. 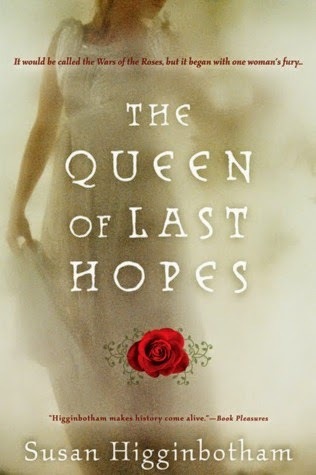 I will read the companion novel The Queen's Pawn, but I'll also be on the lookout for a better Eleanor book. Surprisingly, (or not), the Royal Diaries Eleanor installment is still holding strong in comparison. 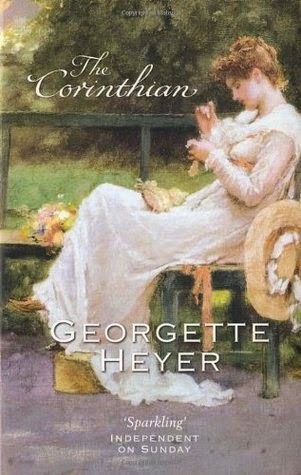 I wasn't dead set against picking up a Georgette Heyer book, but I was somewhat reluctant (I was afraid she'd be boring, which is so far from reality it's laughable) and I was totally overwhelmed by her huge body of work. Enter Ruby. Again. She steered me toward the slim The Corinthian and I loved it. Much as I did enjoy it, the first half of the book didn't completely hook me, but that's mostly because of main character Penelope. Her contentious relationship with Sir Richard was amusing, but she felt so young to me and I had a hard time connecting with her. At least in the first half. Sir Richard was a completely different story. It was love at first sight and the more time I spent with him and his sly apathy and subtle sarcasm, the deeper that love grew. 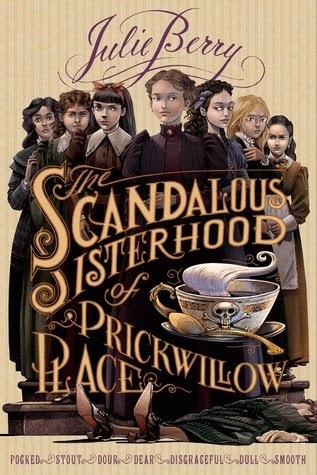 Plot wise, the first half was a rollicking lark complete with concealed identities, jewel thieves, Austen-y families (of the groan and cheer inducing varieties), and the 19th century version of a Proper Quest. There was never a dull moment so it was easy to zip right through. The second half? Total farce. I laughed out loud until I gasped for air at the absolutely perfect absurdity of it all. All the difficulty I had connecting with Pen completely evaporated and we became bosom friends, shooting each other covert eye-rolls amidst all the chaotic fun. Of course, Sir Richard only grew in my estimation and the banter between him and Pen was epic. Also, Ms. Heyer totally gets the importance of THAT KISS and delivers all the knee-wobbling heel-popping, heart-clutching impact of a properly done kiss. Oh boy, I'm in the minority on this one. I hated it. Absolutely hated this book. 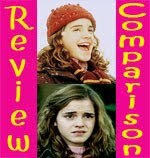 The main character was astoundingly stupid and insufferably mean and judgmental (just because he has pimples doesn't mean he isn't a nice guy, Chloe). It didn't take long for me to start wishing her dead. The plot didn't help things either because absolutely nothing happens (Chloe takes a good part of the book just to come to terms with the fact that she's supernatural not crazy *yawn*). 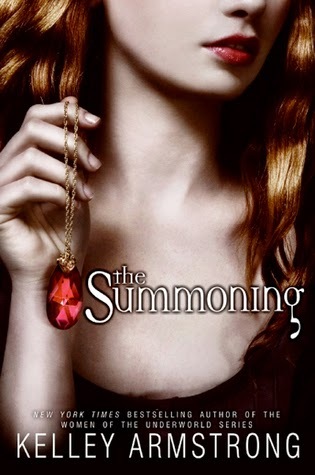 The Summoning is book 1 of a series, but it could have easily been edited down to a few chapters. And the writing. Yikes. I'm a fantasy fan, so by default I have a pretty high tolerance threshold for info dumps, but my god, Kelley Armstrong had Chloe Google "necromancer" and then read off the results. Remember when Bella Googled "vampire" and how cringe-worthy that scene was? Yeah, this was worse. At least Bella knew what the word "vampire" meant. 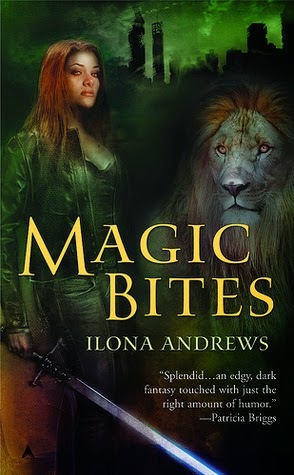 I'm not really a big fan of adult paranormal romances, and while I can't quite put my finger on why, Magic Bites definitely hit my Do Not Want buttons. Maybe it's the grit? These books always make me think of dirt and darkness. It's weird because a lot of the staples of the genre are definitely features I like: tough but wary main character, alpha male love interest, magic, quirky side characters. I can get on board with all of that (just so long as you add a dash of Southern charm, maybe?). But there's just something about the way those things are handled in a lot of adult paranormal romance books that just doesn't work for me and didn't work for me here. I never warmed up to Kate, her love interest was somewhat repellant, the side characters grated instead of endeared, and the magic did not interest me. Add in a plot that just never seemed to grab me and a vague off-putting vibe and I'm kind of surprised I finished this one. Call it peer pressure. I know Kate Daniels is beloved in the genre, but I don't think I'll be continuing on with her.